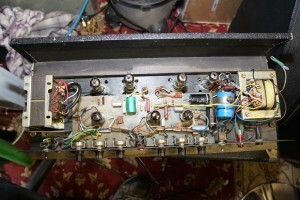 Many thanks to Chris Barrett for permission to use his pictures. 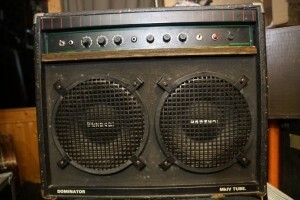 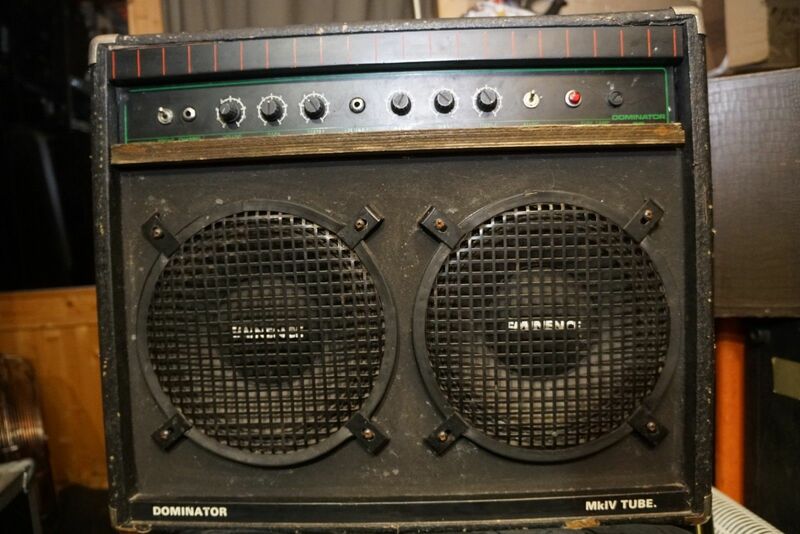 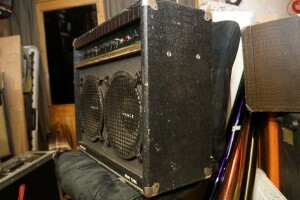 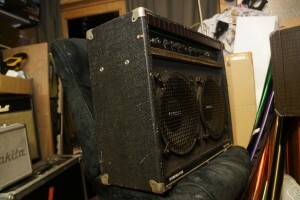 One of the later, 1980s, range of Dominator combos, this combo is labelled as a Dominator 60 on the front fascia but also labelled as a Mk IV Tube on the front of the cab. 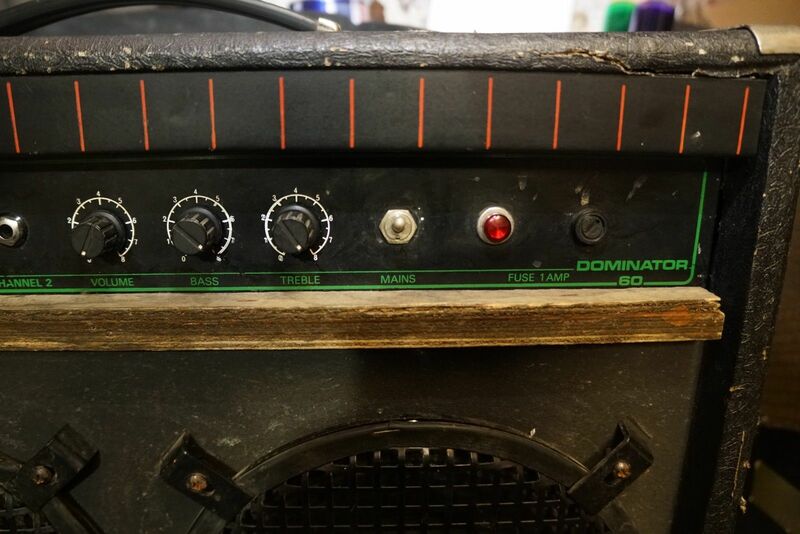 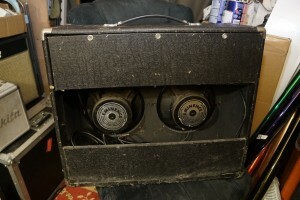 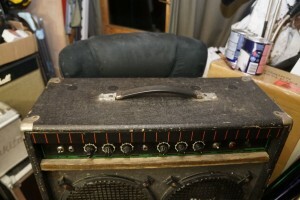 The name is strange as the combo has 4 x EL84 valves which would only produce around 30 watts so I’m not sure why WEM called it a Dominator 60. 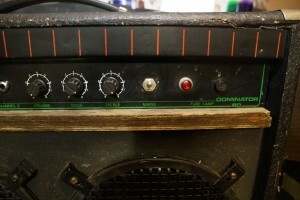 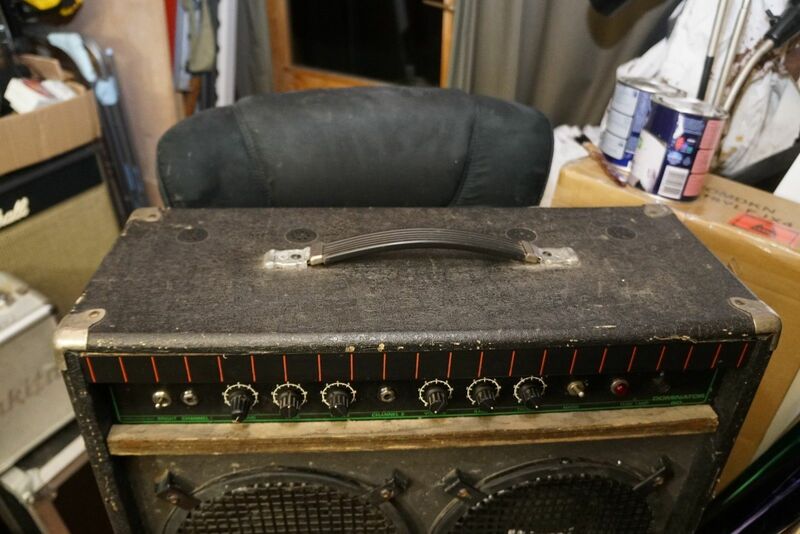 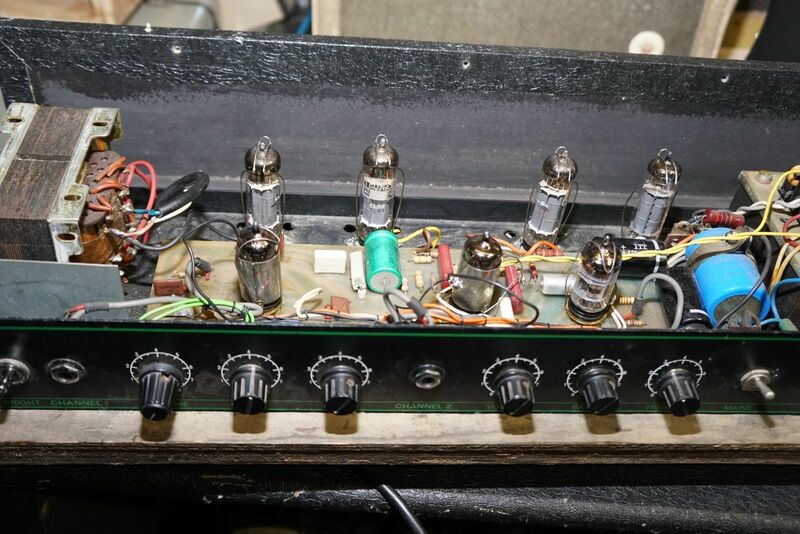 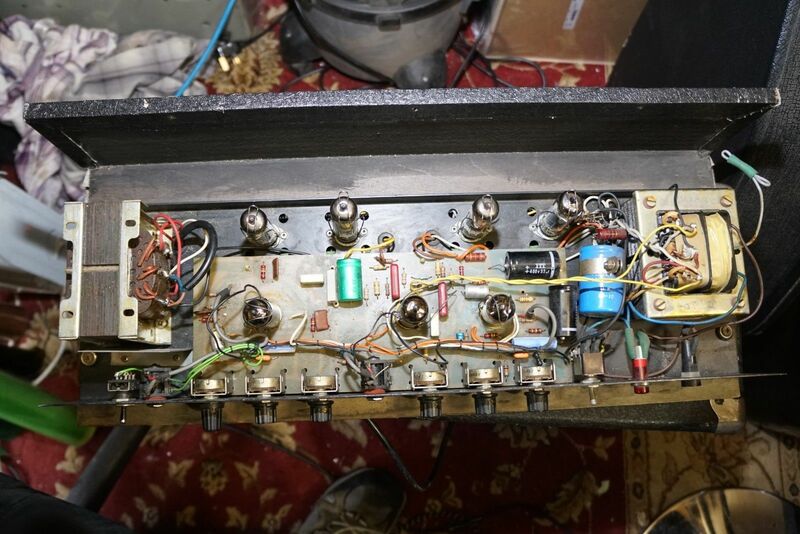 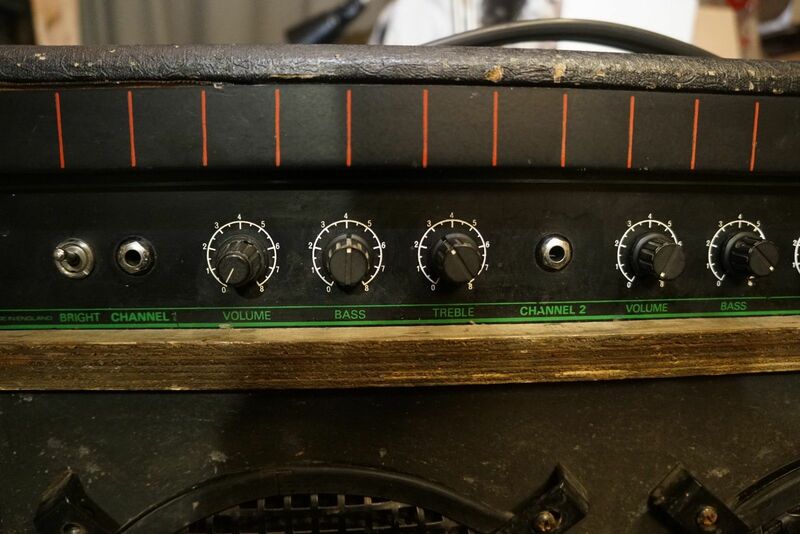 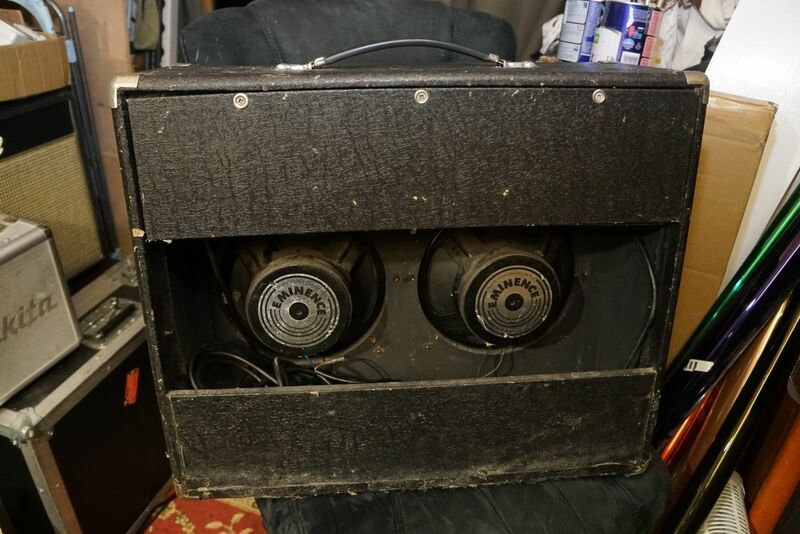 In this example there should be a black metal strip below the controls but this is missing and the pair of Eminence 12″ drivers are almost certainly not original.